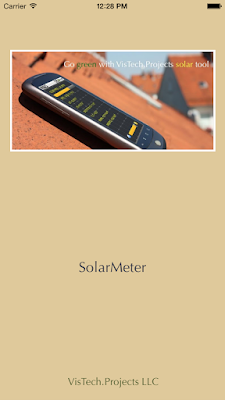 The first version of SolarMeter app for iPhone and iPad users is available on the App Store now. The similar application is also available for Android devices from Google Play. The application helps people, interested in using free source of energy - sunlight, to check solar potential of their roof or land, how much solar power is available at specific location throughout the year, to estimate how much energy a photo-voltaic system is able to produce per month or year. The app also offers area converter, that supports many different units, and contains tips on how to estimate roof area using map and Planimeter app. 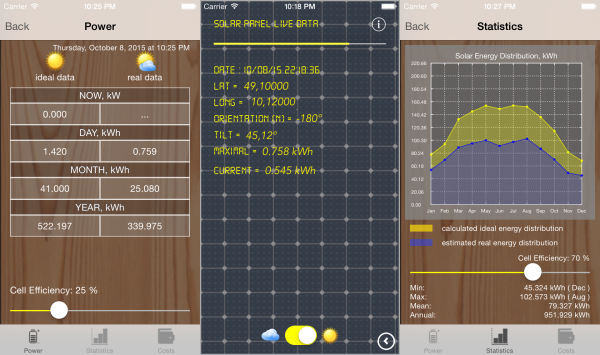 Simple "Costs Calculator" allows users to compare changes in energy bills with and without using solar cell panels. * the app has to installed to be able to use it for measurements. ** Make sure your Time Zone settings are correct and you use it in portrait orientation. If you have questions about the app or have improvement suggestions, we will be glad to hear from you in the comments below or by e-mail. 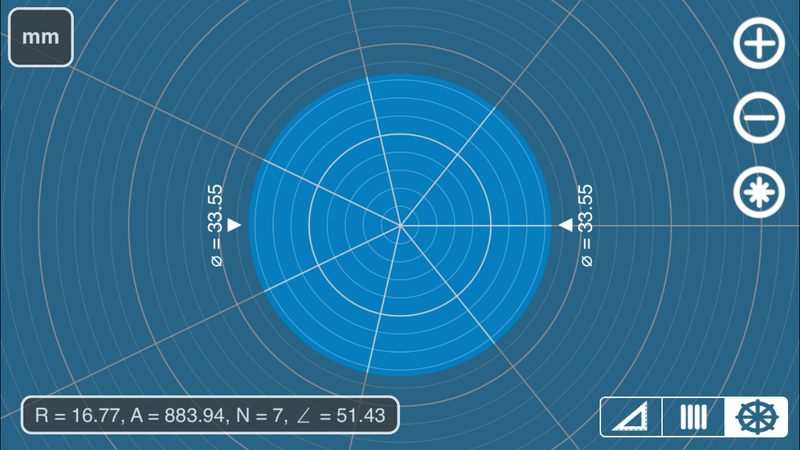 [iOS] Millimeter Pro - screen ruler: fix for iPad 2 Mini. Calibration issue on iPad 2 Mini devices has been reported and fix has been recently released. Please update your version of the app . 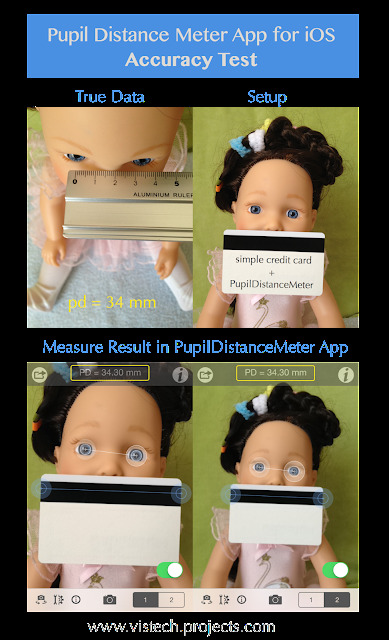 [iOS] Pupil Distance Meter: accurate pupillary distance measurements. Pupil Distance Meter is a tool for PD measurements using a camera on your mobile device. iOS version of the app uses improved approach, which allows you to achieve more accurate and consistent measurement results. On the left you can see results of accuracy tests taken with Pupil Distance Meter on iPhone. In accordance with the measurement procedure, two successive pictures were taken from different distances to get an average result. Then pupils and the credit card were carefully marked with the special rulers on the screen. As soon as the layout of the features were confirmed with BOTH switch controls at the bottom right corner, correct PD distance were calculated and shown at the top of the screen. 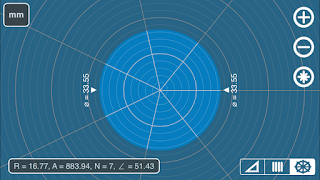 As you can see on the picture, the result from the app is very close to the true data measured with a usual ruler. You can achieve the same good results, if you thoroughly follow the instructions and tips from one of our previous posts about Pupil Distance Meter on iOS. If you have questions about the app or have improvement suggestions, we would like to hear from you in the comments below or by e-mail.